Cleveland is gearing up its cops for the Republican National Convention in July by buying thousands of body armor suits. The city is in the market for 2,000 sets of riot armor, and the March 28 deadline for companies to enter bids is fast approaching. Cleveland said it is seeking to buy the Elite Defender, a new suit of police armor that HWI Inc. of Colorado started selling this year. The city wants to purchase upper body and shoulder protection, elbow and forearm protectors, hard-shell shin guards and tactical hard knuckle gloves. In addition to armor, Cleveland wants 2,000 Monadnock batons, which are collapsible but can telescope and lock into full length. 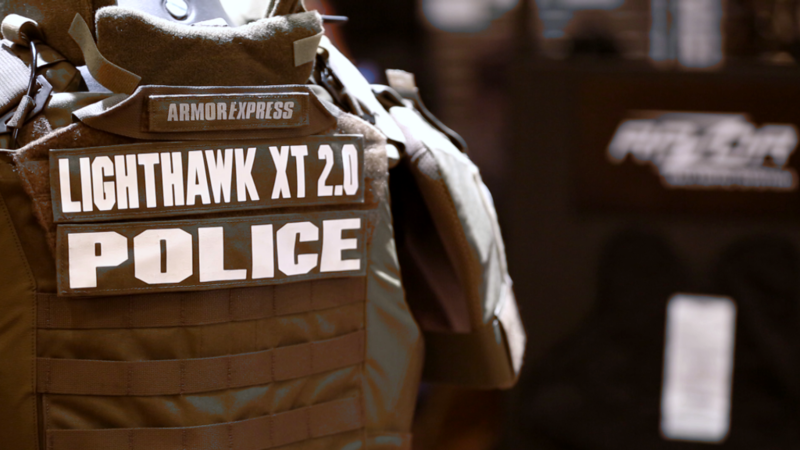 HWI co-founder Isaac Hatch told CNNMoney that police departments around the country had been pre-ordering the armor, which can withstand baseball bats, bricks and bottles but is not bulletproof. 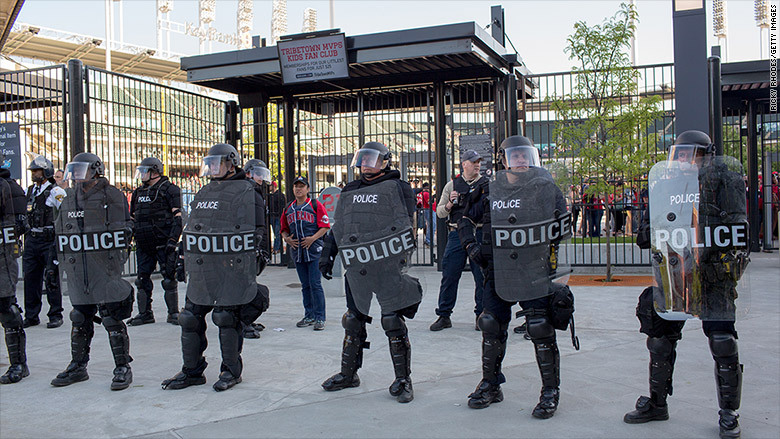 Cleveland wants to buy 2,000 sets of the Elite Defender body armor. Cleveland will pay for the security equipment with a $50 million federal grant it received to beef up security ahead of the convention, according to Rob Portman, a Republican senator from Ohio. Some $20 million of that will go toward "safety equipment, communications and supplies," according to Cleveland City Councilman Brian Cummins, while $30 million is for "personnel related expenses." Cleveland first outlined the bids in July of 2014, just days after the RNC chose the city to host its convention. Related: Should civilians be allowed to wear bulletproof vests? In addition to the armor and batons, Cleveland is seeking bids for 24 sets of ballistic, bullet-resistant armor. That includes Ops-Core Sentry Helmets with visors, Mandible-brand face shields and ballistic vests from FirstSpear that are reinforced with armor panels from Point Blank. It also includes plates for the arms and groin, and shields to hide behind while shooting rifles. This city has also requested 2,500 interlocking steel barriers from Tamis Corp., three horse trailers, 2,400 CamelBaks for hydration, 300 Volcanic Vx7 bicycles as well as 310 Bell Super bike helmets. The Democratic National Convention will take place in Philadelphia right after the GOP event. Philadelphia has also received a federal grant of $50 million to fund convention security, but a city official declined to say how those funds will be spent. Cities are eligible for this kind of federal funding when they host an event that the U.S. Department of Homeland Security deems a "national special security event." Tampa, Florida was granted nearly $50 million when the city hosted the RNC in 2012. Charlotte, North Carolina was granted an identical amount for hosting the DNC that year.